It was very apparent that Cheryl was going to be in the fashion business at a very young age. She enjoyed every aspect of the fashion industry from styling to sewing. What a wonderful journey is has been for this true fashion trailblazer! Cheryl majored in Fashion Merchandising at Western Illinois University in Macomb, Illinois where she was active in departmental events and found a particular interest in fashion show production. She assisted creating large runway shows and found it was easy and fulfilling. She also worked in a small fashion boutique where she used her natural love of sales and people skills to build a loyal clientele. But upon graduation, Dallas, TX was her target city to live to expand her fashion career. Her first job out of college was at Mark Shale in the Dallas Galleria where she excelled in sales. The next few years included several other life milestones, she married, had two children, worked a few years in the commercial real estate industry but wanted to get back in the fashion business. She was recruited to sell BeautiControl Cosmetics and again, excelled in sales receiving sales and top recruiter awards in the Dallas market. Cheryl’s natural love of creating something that no one else was doing came next. She thought of an idea to help spread the word about fashion and it was for television, so she called the NBC affiliate in Dallas and pitched a fashion segment for their morning show. The producers liked the idea and for several years Cheryl appeared on the morning show talking about gift ideas for the holidays or how to dress for an interview. She loved the television business, was a natural on-camera and wanted to do more. In 1994, Cheryl joined Men’s Wearhouse. Again, she received top sales recognition and continued to appear on the NBC affiliate morning show. All the TV segments were LIVE but she wanted to produce, script and edit them. The first concept was a short fashion segment to feature menswear. Since she worked for Men’s Wearhouse she pitched the segment concept to George Zimmer, Founder of The Men’s Wearhouse and George wrote her a check for the production on the spot. George also commissioned her to produce another much larger project. This one was to host, co-produce and write a “how to” video on the topic of Business Casual dressing titled, “How to Dress Casually and Still Mean Business”. The video was distributed nationally and a second soon followed. A move to Buffalo, New York in 1996 expanded her retail and TV fashion experience. She worked at Harry Rosen and also did LIVE fashion segments for the local CBS and ABC affiliates. It took six years of hearing “no thank you” until she moved to Austin in 1997. Cheryl was persistent to find a home for her fashion segments but couldn’t get a television station to buy into the concept. In 1999 she read that a new 24-hour news station was being launched called News 8 Austin. With demos in hand, she pitched the idea and the station agreed to shoot and air three segments. Austin would be home to the first fashion segment of its kind. Cheryl’s first segment aired on December 16, 1999. She took viewers to the fashionable Austin boutiques, events and introduced up and coming designers to the Austin viewing audience. The fashion segment was educational, fun and gave much-needed exposure for Austin fashion businesses and designers who would otherwise not receive any type of television coverage. The response was always positive; events had higher attendance and traffic from a featured business always increased. The three original news stories turned into segments that aired over five years. Cheryl was the first on-air personality for News 8 Austin to be recognized for her work by the Austin Chronicle; she was honored with the critic’s pick for “Best Fashion Coverage on Local TV.” She also covered the catwalks at New York’s Fashion Week in a highly praised week-long series for News 8 Austin. Cheryl’s next fashion chapter was leaning toward the internet. If there could websites about all news how about an all fashion website! She registered her domain name in 2004 and her vision for Fashionably Austin.com launched in July 2009 at the same time the first Austin Fashion Week launched. Again, Cheryl launched another first in the Austin Fashion market, the only all fashion website that featured Austin fashion news about designers, events, and boutiques. 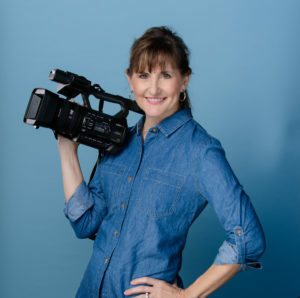 Shortly after Fashionably Austin.com launched, Cheryl was credentialed to attend New York Fashion Week as a photographer for the press corps. Cheryl and team members have attended every year since 2009. She was also asked to represent Planet Fashion TV to shoot during Paris Fashion Week and has supplied video for the German publication Erdbeerlounge. She has interviewed many fashion industry icons such as Diane von Furstenberg, Clinton Kelly, Tim Gunn, Rebecca Taylor, Jill Stuart, Carson Kressley, Chloe Dao and countless more. Click Here to see who else! Cheryl lives in Austin, TX with her husband. She has three grown children and enjoys being an empty nester and is crazy about her Papillion “Cooper”. 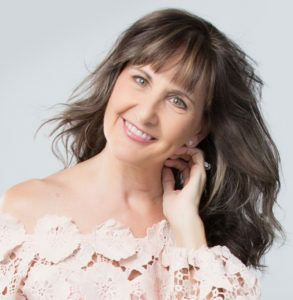 She is has volunteered for the Stiletto Stampede organization and produced their annual Fashionably Pink fund-raising fashion for several years. In 2013, Cheryl was recognized as an Austin Fashion Trailblazer.